The Board of the Allendale Community Foundation is pleased to announce that they’ve awarded over $7,700 in grants to support the Allendale community, including $1,000 to the Engine House No. 5 Museum for the Explorer Immersion Program. The five-week partnership program with Allendale Public Schools’ Explorers Program (gifted and talented students) will have students research the different roles volunteers, women, and Benjamin Franklin had in the history of firefighting—three topics that align with merit badge requirements for the Boy Scouts of America and Girl Scouts of America. The students will also create a tabletop exhibit and provide a tour to fellow students and their families. At the completion of the program, the tabletop exhibits will be incorporated into future, permanent exhibits. • Allendale Area Chamber of Commerce received $2,500 for Art in the Park for the paint and materials necessary to create a community mural in a public park of Allendale during the Allendale 4th of July Celebration. This project is a collaboration of Allendale Area Chamber of Commerce, Allendale Charter Township, Allendale Parks and Recreation Committee, Allendale 4th of July Planning Committee, Shannon Maisel Art and Allendale true Value Hardware. • Remembrance Ranch received $3,000 for Transform Catering to purchase and provide the items necessary for the success of the program. Transform Catering provides youth who are enrolled in Alternative Education, or GED Programs, an opportunity to learn and develop necessary skills to pursue a career in hospitality. • Second Church of Allendale received $1,200 for Hand2Hand to provide 60 underserved students at Allendale Elementary with food for the weekends. The next grant deadline for area nonprofits is September 28, 2018. The grant application can be found at http://www.ghacf.org/Allendale/grants. 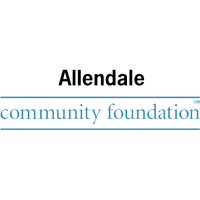 The Allendale Community Foundation is a public, charitable organization serving the Allendale community since 1999. It encourages philanthropy by individuals, families, companies and organizations, and serves as a steward of charitable funds and legacies. For more information, or to give a tax-deductible gift to the Greatest Needs Fund at the Foundation, visit ghacf.org/Allendale or follow us on Facebook at facebook.com/AllendaleCommunityFoundation. The Allendale Community Foundation is an affiliate of the Grand Haven Area Community Foundation.